If you’ve ever received career counseling, you’re no stranger to the many personality tests out there. At this point, it feels harder to avoid the Myers-Briggs than to take it. And actually, that makes sense. Humans naturally want to build patterns out of the information we take in, in order to make faster, easier decisions about how to adapt and thrive in our environments. 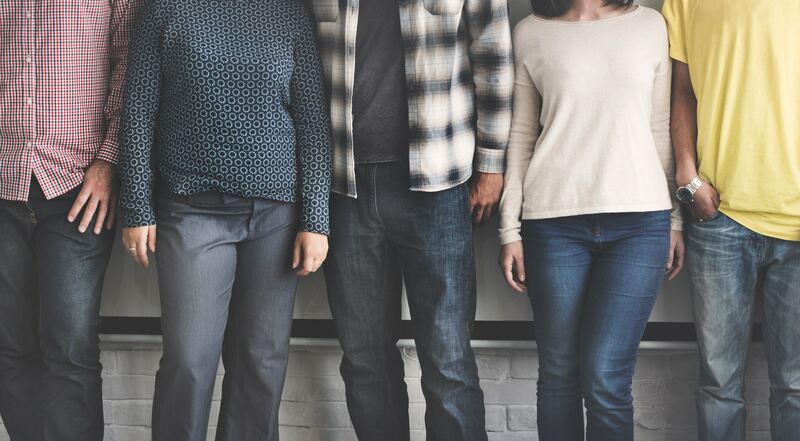 If you're looking for ways to help your people adapt and thrive in your shared work environment, it can definitely help to know a few things about who they are and how they tick. What are The Big Five personality traits and why should you know them? From eagles to owls to INFPs to ENTJs, you can find tons of personality assessment tools to fit your team. But if you’re looking for a simple system that’s easy to learn, teach to others, and has a plenty of studies to back it up, look no further than the Big Five (a.k.a. the Five Factor Model). And of course, it's all wrapped up for you in one tidy acronym: OCEAN. The Big Five was created in the 1970’s by two independent groups of researchers and it’s still heavily studied today. According to research from executive coaches and psychologists Iain McCormick and Giles Burch there is personality-focused coaching using this model, can help managers and leaders get better performance from their employees, even if they didn't start with this approach from day one. Before we dive into what "type" of people are on your team, it's worth pointing out that none of the Big Five traits are necessarily good or bad. They're simply an indication of how a person will behave. Here are the Big Five personality traits you're likely to see on your team. Employees with high extraversion tend to be very relationship-focused. Extroverts make great glue for holding office relationships together. But beware, an office with too many extroverts could result in tons of talking, and not enough walking. Give your extroverts a chance to share their knowledge with other team members, and they'll LOVE your for it. Just make sure to always check in and keeping them accountable for the daily deliverables, too. Employees with high agreeableness are similar, often serving as office diplomats. According to the coaches at Crowe Associates, agreeable employees are good at managing conflicts in a constructive way. Yet McCormick and Giles note that some studies show that people who are more agreeable don’t always make the best leaders. It can be hard for them to make the unpopular decisions leaders are often forced to make. If you've got a highly agreeable team member in a senior or manager position, teach them how to deliver negative feedback in a constructive way, and remind them how important it is to both the organization and the team to make those harder calls. High conscientiousness is the bigger social feature of good leaders. According to Live Science, these workers have a keen sense of duty and organization. Though conscientiousness often links to better job performance, it might hurt with less organized work environments where the natural rhythm and culture is to jump in and keep moving. Ask your conscientious employees what tasks give them energy and be transparent about the aspects of your office that might be frustrating for them. The trait for adaptability and creativity is openness. Researcher Courtney Ackerman writes that research links openness to “broad intellectual skills” such as creativity and knowledge, which can also lead workers high in openness to find their place in key leadership positions. Yet, McCormick and Giles remind us that the flip-side of the open employee is that they sometimes come with an overly strong creative drive that often needs checking. Make sure you always take time to listen to your open employees and provide clear path for them to visualize their future within the company and be clear yet supportive when they have an idea that just won't work. Neuroticism gets a bad rap. In fact, Ackerman links it to worse job performance and “added life difficulties.” Yikes. But all neuroticism really means is a propensity to feel and react to the negative things around you — letting things get to you. And that's not always a bad thing. In a paper from Center for Applied Cognitive Studies in North Carolina, Pierce and Jane Howard explain that, “susceptibility to negative emotions” can make for strong social scientists, customer service professionals, and scholars. McCormick and Giles stress that neurotic workers need help to be resilient, manage their stress, and handle their negative emotions in constructive ways. A varied team can be a blessing and a curse depending on how agreeable and open the disagreeing parties are. While personality tools like the Big Five can be a great guide, what matters most is that you stay open to getting the best out of everyone.